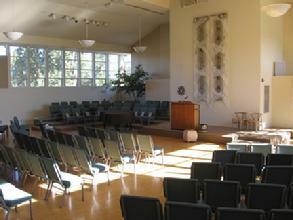 The Unitarian Universalist Church of Spokane is located at 4340 W Fort Wright Drive, near Spokane Falls Community College.The building has ample free parking and a variety of meeting and special event spaces to accommodate groups large and small and in between. 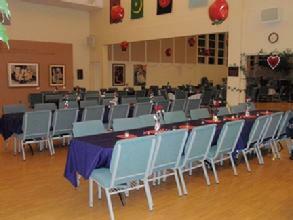 In addition, the church can provide audio/visual equipment as part of your rental agreement. When necessary, a Facility Host will be on hand during the course of your event to assist you with facilities and equipment needs. Email our rental coordinator for more information, to arrange a tour of the facilities, or to reserve a space in our facilities. Our spacious Sanctuary (seating capacity 200-250) with adjoining Friendship Hall provides an attractive, welcoming space for weddings, receptions, dances or lectures. 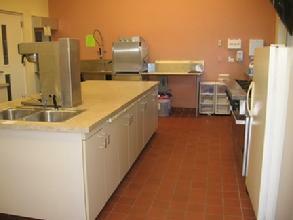 Both can be arranged to meet your seating and reception needs. The Sanctuary suggests a Shaker-like simplicity and serenity with high windows which connect the space to the outside world. Our audio-visual system includes an audio loop for hearing assistance. 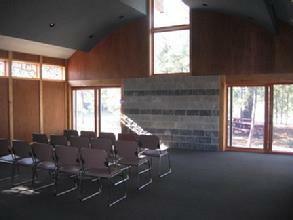 Our chapel is perfect for meetings and intimate events with seating for 65. 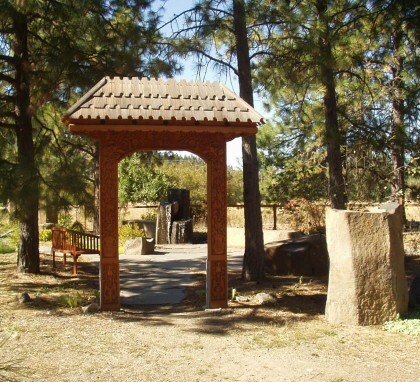 The sliding glass windows open onto a tranquil memorial garden with pathways and basalt fountain, and our back garden courtyard which includes picnic tables and a gazebo. The chapel is also equipped with a large screen TV suitable for showing movies or presentations. Our Religious Education Wing has classroom and meeting spaces available. Contact our rental coordinator for information.